Thinking about buying an email list? Buying an email list sounds like a quick way to get some business, but it is actually a huge waste of money. In this guide, we’ll share 8 reasons why you should never buy an email list (and what to do instead). Whether you’ve just launched a new business, or you’re gradually growing an existing one, finding a shortcut to success sounds attractive. And one shortcut that tempts many business owners is the idea of buying an email list. An email list typically includes a list of names, email addresses, and perhaps other data (like company name or income level), and you can find these lists for sale. Since you know that email marketing is the #1 way to sell anything online, buying an email list is a great way to launch an email marketing campaign from day one, right? The truth is, buying an email list is a really bad idea, and a huge waste of money. It’s one of those shortcuts that simply doesn’t work, and will likely cause your business far more harm than good. Let’s take a look at 8 reasons why you should not buy an email list. Then, we’ll tell you exactly what you can do instead to quickly grow your business with email marketing. Out-of-date information (loads of the email addresses that no longer exist, or are abandoned). 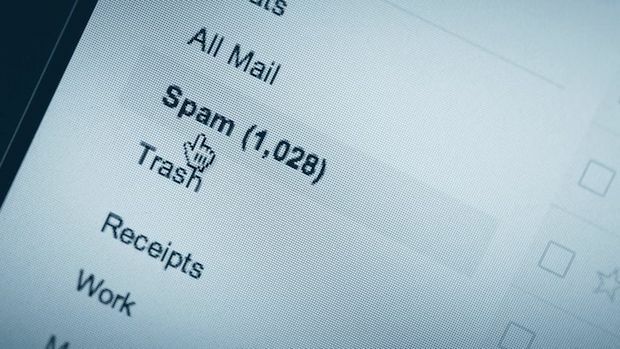 While it might sound great to get an email address of 5,000 or 10,000 names overnight, it’s going to be pretty worthless if it’s an out-of-date list full of junk data made up of people who never wanted to be on the list in the first place. Not only that, but if the email list was harvested through any number of illegal means, you could be subject to penalties of up to $16,000 for each separate email you send. Yikes! Let me ask you a question. Do you enjoy receiving unsolicited emails? I’m guessing you probably don’t. Especially when the content of those emails contains a marketing message. Chances are, you probably delete those emails. And, if you get a lot of them from the same company, you will probably unsubscribe, or even mark them as spam. Now, you might believe that your marketing emails are really well written and packed with high-quality information, but from the recipient’s perspective, you’re just another unknown company barging into their inbox. When people join an email list that ends up being sold to another company, they typically have checked a box or glanced at some terms and conditions about receiving offers from “related companies”. Chances are, they’ve forgotten that they ever did this, and they’ll simply see your messages as unwelcome spam. That means your account may well be closed, you could be fined, and your email service provider may even take legal action against you. Here’s something you may not have considered: when you buy an email list, other people are using the exact same list as you. They bought the list, just like you, and they might be sending out email after email to the same recipients. What are the chances that the people on your newly bought list are already annoyed by the number of marketing emails they’re receiving? These people are unlikely to be receptive to your offers. They may have even put filters in place (or abandoned the email address altogether) so that they never see your emails. Let’s say you buy an email list of 10,000 names. You figure that on a 5% conversion rate, you’ll sell 500 units of your new product, which costs $99 – netting you $49,500. Not bad, right? Well, your response rate could be far, far lower than 5%. In fact, you might find that the vast majority of people on the list never even open your email, let alone click through to your sales page. If only 500 people even take a look at your email, and they’re not at all engaged with the offer, then you might not sell a single item. Average open rates are around 20 – 25% for healthy, targeted lists. Lists that you purchase are likely to have far lower open rates. As well as your email service provider cutting you off (and potentially taking action against you), buying an email list opens you up to broader problems with your reputation. Imagine, for instance, Googling your company name only to find that three of the results on the first page are angry rants from people who’ve received multiple unsolicited emails from you. Sound a bit alarmist? Even a few negative tweets can cause significant PR problems. Reputation is crucial online, and you definitely don’t want to be spending huge amounts of time and money on reputation management, trying to get search results buried. Most countries have laws against sending out unsolicited bulk email, such as the CAN-SPAM Act in the United States. While you may still be on the right side of the law–even using a bought email list–you aren’t out of the woods yet. If lots of subscribers complain (and they probably will), you may face a costly battle to simply prove that you didn’t do anything technically wrong. Also, keep in mind that different countries (such as Canada) have different laws. If the email list you bought includes people from another country, you will have to abide by those laws. Read any major blog on email marketing and you’ll hear the same thing over and over again: don’t buy email lists. On many marketing topics, there are differences of opinion about which strategies work and which don’t – but this is definitely one key area where everyone agrees. Buying email lists is a waste of money and time, and may seriously harm your company. So if you can’t buy an email list, what can you do instead? There’s a pretty obvious solution to this problem… build an email list from scratch! But if you’re just starting out, you might not be sure where to begin. So, here’s a “nutshell” guide to getting started with building your email list (the right way). 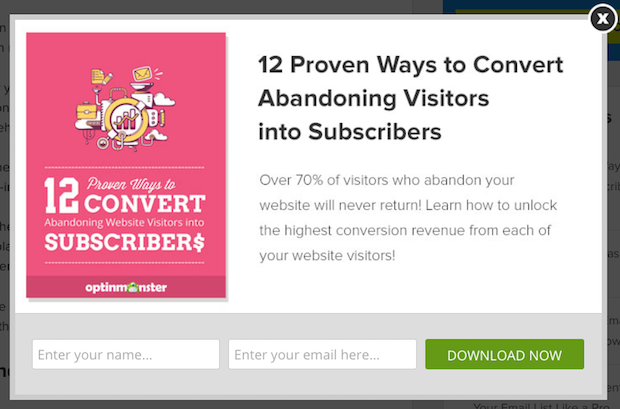 If you’re going to get people to sign up for an email list, you need a site that will draw them in. That way, you’re giving them something of value (great content) before asking them for something in return (their email address). This builds trust, and you can sell something later on with much greater ease. A lead magnet is an incentive that you offer to potential subscribers in exchange for their email address. Depending on your niche and what your audience is most likely to want, this could be a list of great resources, a short getting started guide, or even a video tutorial. Scrap any list(s) that you’ve bought in the past, and don’t try to cut corners by sending out mass emails through your email client (e.g. Outlook or Gmail). Your ISP will almost certainly stop or penalize you for this, and you’ll miss out on many crucial features that email service providers offer. Then, set up an account with a reputable email service provider (here’s a list of our favorites). To easily integrate any of these with your website and your email service provider, check out OptinMonster. The bottom line? Never buy an email list. It’s simply not worth the cost, in terms of money, time, or hassle. Instead, grow your own targeted, responsive list of potential customers who are eager to hear from you, and you’ll see far greater success! If you enjoyed this guide, you may also want to check out our Beginner’s Guide to Email Marketing. This was very helpful with useful information and suggestions! As I was seriously considering purchasing an email list to grow my online business. Thanks, AvaGail. Check out our recent article on email marketing statistics. You might find it useful. a well balanced and supported coverage of the risks of buying email addesses. I was at the point of taking that very step. I am now utterly persuaded to avoid at all costs. So glad you found the article useful, Gareth. 🙂 You may also like this article on email accessibility. If you want an easy way to keep up with all our guides, follow us on Twitter and Facebook. Thanks for sharing. I used to buy the email lists which help little.